When it comes to buying things for your kids, you want the very best. Unfortunately to some parents, best means most expensive. Kids themselves are expensive, so if you’re living on a budget, don’t focus on buying the most expensive items for them. Once you see how quickly the costs add up, you’ll come to understand that perfectly good products can be found at a much lower price.Clothes, for example, do not have to come from the high end boutiques or even expensive department stores. As quickly as children outgrow their clothes and as often as they get them dirty, you’ll feel better if you buy less expensive things. If you’re not comfortable shopping at thrift stores or browsing Craigslist for hand-me-downs, then turn to the clearance racks and outlet malls or buy clothes for large discount stores. You’ll save money and won’t feel as bad if you can’t get the poo stains out. Toys are another item where more expensive does not necessarily mean better. Puzzles and games may be best purchased on clearance or at thrift stores and you'll realize that once you realize how quickly pieces get lost. 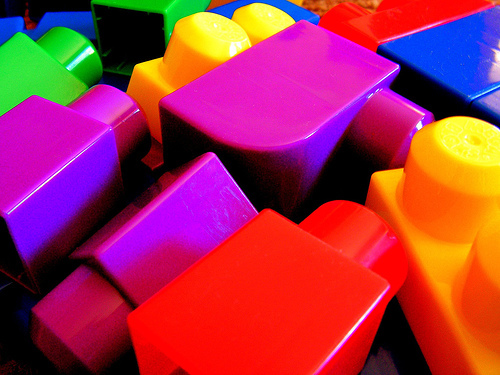 Generic LEGOs and Lincoln Logs all work the same and blocks are blocks. When you spend less on toys, you will also be less disappointed when your child chooses to play with a piece of paper or your pots and pans instead. Of course, there are some things you do not want to scrimp on. If you want products such as cribs and strollers to last for multiple babies, it may be worth splurging a little for the first.